We have written about SB Packaging’s modern plant near Rohtak in Haryana earlier. 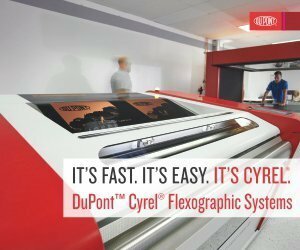 The last time we wrote about the company was three years ago when it had added a 9-color gravure press from Kohli Industries for printing on 20 micron and lower polyethylene (PE) extensible materials. It had just added a Windsor blown film line specially configured for producing high-quality clear 20 micron PE films. These were in addition to its earlier blown films lines and Bobst-Schiavi CI flexo press, an Expert 8-color gravure press and a Bobst-Schiavi solventless laminator. 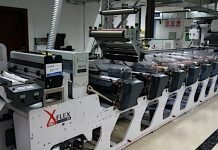 The company became debt-free three years ago and has remained so while it has grown considerably and added both a Uteco Onyx 808 CI flexo press and Windsor blown film lines dedicated to the company’s championing of PE-based flexible packaging. Essentially, SB Packaging has been able to convince global and Indian brand owners of personal care, food and FMCG products in India to use PE-based pouches for the domestic and export markets for many consumer commodity products as a sustainable packaging solution. The new 8-color Uteco Onyx 808 CI flexo press installed in the past six months runs films from 10 to 200 microns at widths up to 1450 mm and speeds up to 400 meters a minute. The state-of-the-art European press contains automation for a zero-defect system, pressure and registration settings and automatic anilox washing for speed of changeovers and makeready. 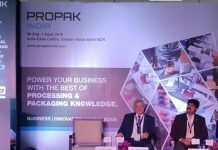 SB Packaging’s Amit Banga says the company has become the largest manufacturer of specialized PE bags and films in India with the addition of four new blown film lines in the 2017-18 financial year from Windsor-Kuhne and Kolsite. While disposing its older blown film lines, it has added these to the Windsor blown film line installed in 2015. The four new 3-layer co-extrusion lines also use the internal bubble cooling systems with automatic controls to produce PE films with thickness from 10 to 200 microns at film widths up to 1700 mm. All the four new lines are customized with special screw and die designs for producing a variety of PE films using fully automatic controls from Doteco and Conair. The corona treater is from Softal. SB Packaging has been deeply concerned and proactive about the Plastic Waste Management Orders of the government and apart from championing PE structures, it has now started working on biodegradable structures that are also food grade. It’s the country’s first ISO 9001, 14000 and 22000 certified flexible packaging company with a GMP certified plant. Its periodic third-party social, regulatory and safety audits are performed by Intertek, SGS and TUV while its SEDEX audit and certification is by Walt Disney/Intertek. Its BRC certification in process. The company has won awards at the Asian level in 2017 and 2018. Banga is not looking to compete with the majority of low price producers of single commodity flexible packaging. 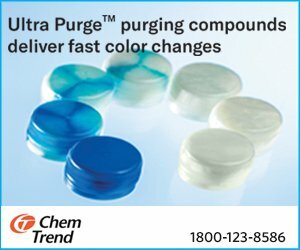 Specializing in supplying to global manufacturers of personal care, food and FMCG products in India and their exports to developed markets, he wants the customized pouches and bags that SB Packaging makes to be used on high-speed automated packaging lines – not just fill and seal but especially the pick and seal lines used by global brands for their personal care and hygiene products. 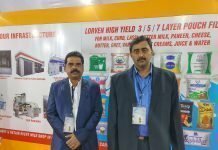 The company rarely supplies rolls of packaging material, preferring to supply batches of bags produced on its XL and Mamta converting machines that incorporate suitable components for both manual and automated pick and seal lines. This trend of supplying specialized pouches is one that we have noticed amongst several of the leading and more profitable flexible packaging suppliers. In the past two years, several responsible and conscientious flexible packaging companies have decided to move towards sustainable recyclable packaging made of PE. In the fruit and vegetable segment it has helped ITC launch its Farmland brand of potatoes in a special breathable PE pack. ITC has also shifted part of its frozen food range to special PE bags provided by SBP. A major brand has contracted for SBP’s special range of side-seal and center-seal PE laminates for staple products. The company has also developed PE-based packaging laminates with very good moisture and oxygen barrier properties for higher shelf-life. In the detergents segment, a special recyclable PE laminate has been developed with one of the larger brands committing to its use across the entire portfolio. Although it has taken time for the brand owners to grasp the benefits and make the design and structural changes needed, SB Packaging has successfully leveraged its early mover advantage in promoting and producing PE-based flexible packaging. It has not only walked its sustainability talk but also executed the high-technology and well thought out expansion that it spoke about three years ago. 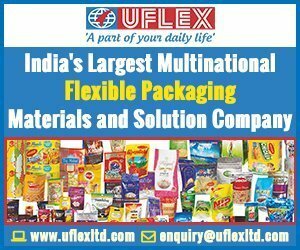 The next part of the plan is to setup or acquire a flexible packaging plant in Western India as well. Although SB Packaging still does what it would describe as commodity packaging and provides packaging material in roll form, 80% or more of its work now consists in supplying special application pouches, bags and materials for the personal care and food industry. The company champions the use of polyethylene (PE), which it can produce in very close tolerances on its four Windsor-Kuhne and Kolsite 3-layer internal bubble cooling (IBC) blown film lines configured with special dozing and precision thickness and temperature control systems from Conair and Doteco.